This year will be a bit of an experiment. I’ve long enjoyed an active online presence, going back to the founding on this website 21 years ago. I figured, as a new indicator of my presence or reach or impact or whatever, why not try to monetize some of my actions? So ads will soon be popping up in these pages (if you don’t already see them). And my Youtube channel, on which I stream some of live lectures, is now monetized, resulting in a grand total of…. wait for it…. 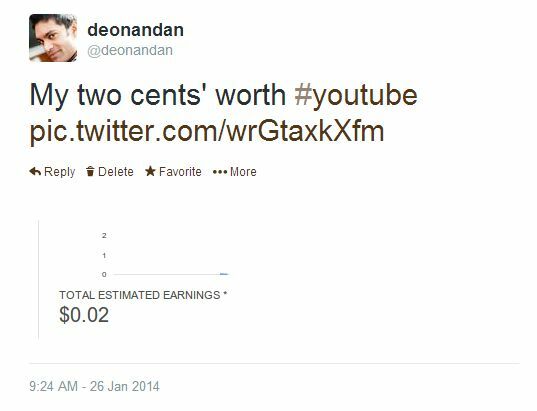 two cents revenue! Whoohoo! Meanwhile, clicks to my Amazon A-store are resulting in a healthy stream of pennies sufficient to pay for the bare minimum upkeep of my websites. 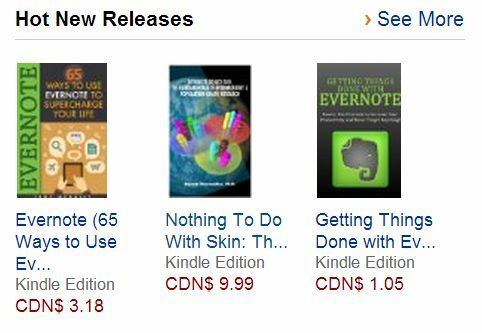 But what has really exciting is the launch of my first self-published book, my e-textbook Nothing To Do With Skin. You may recall that I wrote it partly to educate my students and others interested in basic epidemiology, but also partly as an experiment to see if bypassing traditional publishers is an effective way for me to profitably engage in public education. One particular development I did not anticipate: my book’s acquisition of “#1 Best Seller” status. Now, let’s be honest. Amazon’s “Best Seller” stats are updated seemingly minute-to-minute. So if two people happen to buy my book at the same time, that drives my ranking to the very top. The actual total sales are not particularly impressive. So it’s not anywhere on par with, say, the New York Times‘ best seller status. But… if you examine the resolution of the sales categories, the tale becomes encouraging again. 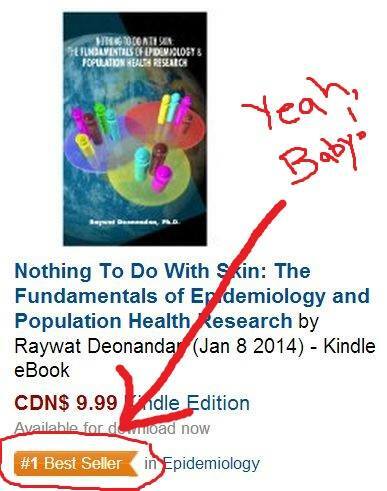 Over the past month, my book as been in and out of the number one position at multiple times in three different categories: Kindle ebooks about Epidemiology, all books about Epidemiology, and Kindle ebooks about Education and Research. Note that each category has at least 100 books vying for the #1 position, but only the top 100 are listed. 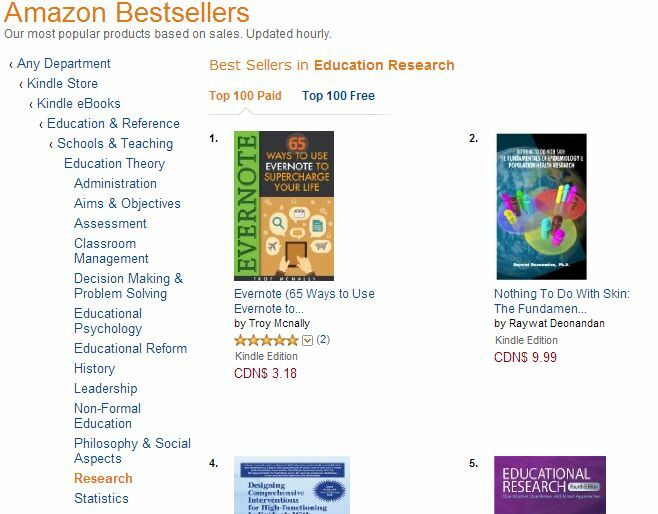 The image below shows the time my book made #2 status among Education Research titles. 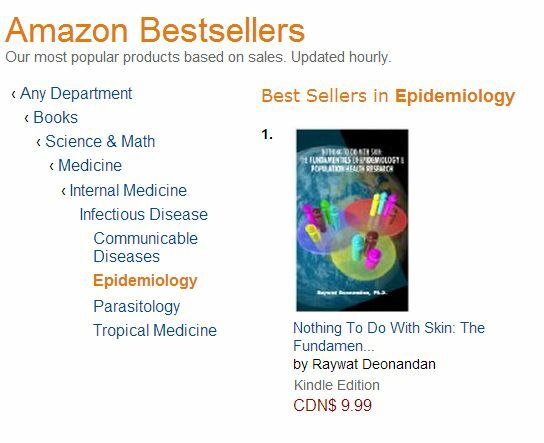 As I write this, the book is once more on top: #1 among Kindle books about Epidemiology, #1 among Kindle books about Research, and #5 among all books (Kindle or physical) about Epidemiology. Amazon has been pretty good about sharing their promotion machine. Mind you, it doesn’t cost them anything to do so, and ends up earning them a greater profit. The company listed my book among its “hot new releases”, and profiled it amongst its overall list of “best selling books” in all categories. Does this actually mean anything at the end of the day? I have no idea. All I really know is that for the rest of my life, I can call myself an Amazon #1 Best Selling Author, even if I held that status for only a few minutes one quiet afternoon. What’s next? More science books targeted at the educated, general learner, and my new podcast. Stay tuned.